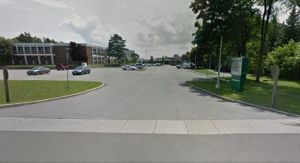 Aldershot School is a grade 7–12 school located in Burlington, Ontario. Although the current school building was constructed in the mid-1900s, the original Aldershot School was built in 1870, making the name the oldest in continual use for an educational institution in Halton region. Originally a high school (grades 9-13, later cut back to grade 12), grades 7 and 8 were added in 2001 to make use of spare capacity. The school's enrollment is approximately 500 high school students and 200 elementary school students. Since 2003, the school has continually made dramatic improvements in student achievement and student provisions.